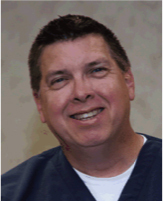 Ken Thigpen, BS, RRT, FAARC, first walked into the RT department at St. Dominic Hospital in Jackson, MS, as an RT student. When he left to pursue other opportunities after graduation he vowed he would one day come back and lead the department. That was 30 years ago, and today he’s made good on that youthful promise. As administrative director of pulmonary services, he oversees respiratory care throughout the 534-bed facility and has learned a thing or two about getting ahead in the process. We asked him to elaborate on a few of them. Factors that led to his success: One key has been my involvement with the AARC and my local state society. Actually, early in my career, I was advised by one administrator who chose me for a job that my involvement as an officer in our state society was the differentiating factor between myself (two years out of school) and another candidate with ten years of experience who wasn’t even a member. Another critical factor has been selecting the right people and then staying out of their way and letting them perform once they were on board. It took a while but I finally realized I don’t need to know more about everything than everybody else — I just need to know who knows the most and give those stars a chance to shine! How recent grads can do the same: The Marines are “Semper Fi”— always faithful. We have a mantra in our department —“Semper Gumbi”— always flexible, with an accompanying beatitude,“Blessed are the flexible for they never get bent out of shape!” Today’s leaders are looking for teammates who think beyond themselves. We need to see flexibility, a willingness to do whatever, whenever, and the ability to put the needs of our patients and department above their own. Henrietta Mears tells us that “He who is busy helping the one who is below him doesn’t have time to envy the person above him.” Focusing on the needs of our patients and teammates tends to dissolve the tension that is a part of most any group of people who spend as much of their time together as those in a hospital. Top advice for folks just starting out: Seek opportunities to be involved. Do everything you can to make yourself indispensable. Maintain a sense of flexibility, keeping a “whatever it takes” attitude toward your patients, your duties, and your work schedule. One of the most important parts of your uniform or whatever you wear to work is your smile — don’t leave home without it. Maintain a commitment to life-long learning, and get involved professionally — it pays huge dividends. Keep in mind that moving forward, chances are that the competition for available positions will only increase — managers will likely find themselves with the luxury of being able to “cherry-pick” from among available applicants. Try to make sure you’re a cherry worth picking! What it takes to get a job in his department: Patience, persistence, and a great “teamplayer” attitude, plus the right credentials. I am very blessed to have an exceptional staff which is typically very stable. There is a great deal of competition for available job openings in this area. That, combined with minimal staff turnover, results in very few positions needing to be filled. It can be difficult to get on board but for those who persist through the process, they typically come here and stay. Our average therapist has over 15 years of experience and has been here for over ten years.We typically have anywhere from 45-80 applications in our queue at any time and haven’t advertised a position in a paper or magazine in over seven years.